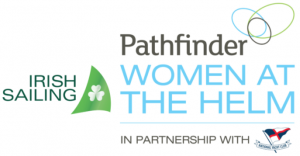 The National Yacht Club is delighted to have been selected to host the inaugural 'Irish Sailing Pathfinder Women at the Helm Regatta' on Saturday 17th and Sunday 18th August 2019. The  Irish Sailing Pathfinder Women at the Helm Regatta is open to PY Dinghy Racing and Keelboat Racing from Teens to Seniors (see further eligibility details in the Notice of Race). We also plan a Cruise in Company with the Cruising Association of Ireland and a huge Saturday Night Party in the National's Clubhouse! The 'Perpetual Club Team Prize' is open to all members of Irish Sailing Affiliated Clubs and there will of course also be a wide range of Category Prizes.